A 24 minute overview of what’s coming up with Go 1.10 given at the Go Devroom at FOSDEM. No time for a video? The slides are here. Visualize and alert on custom metrics in real-time with Datadog. Utilize distributed tracing and interactive flame graphs to gain full-stack visibility and optimize Go, Java, Ruby, and Python application performance. 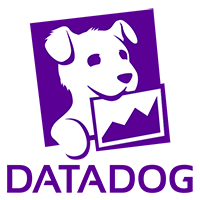 Try Datadog free. An analytical look at 20 different web and microservice frameworks based on stars, commits, issues, and more. Can you guess what won? Incrementally building a basic Dockerfile with live reloading and package management which is then optimized for production with a 100x reduction in size. Covers dependencies, docs, tests, CI, and licensing. Use code generation to extend libvirt’s extensive API without leaving the comfortable environment of Go. Includes writing your own custom metrics, as well. Built with CI tools in mind. butler can create a new project based on a template, which is just a git repository.